‘At night, sometimes, I can’t sleep. It rustles, it bustles without a face. 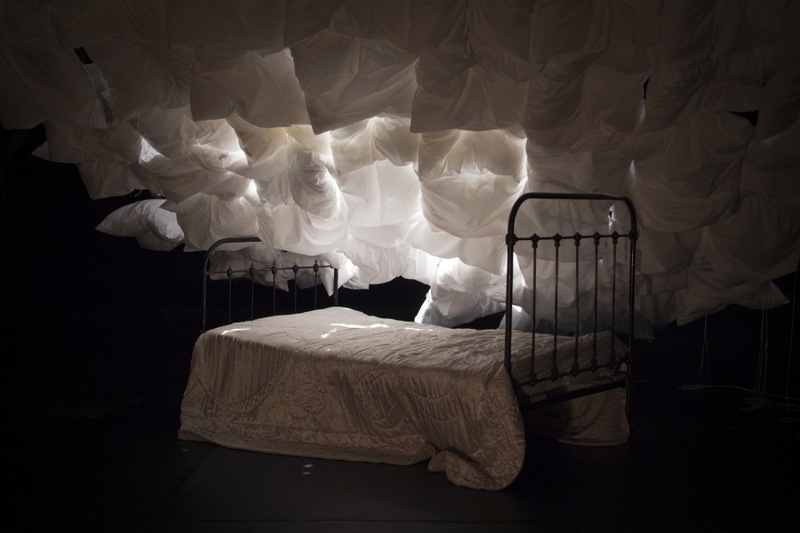 In L’Insomnante three characters inhabit the space: an insomniac who is at war with her bed; a singer-cellist who accompanies her night-time wanderings and a strange presence who tries to help her to find sleep, whose identity is never revealed. It is light. It is dark. It is light again. The night is long as the search for sleep goes on and on. This visual, nearly wordless show is based on the physical, visceral sensations linked to insomnia. 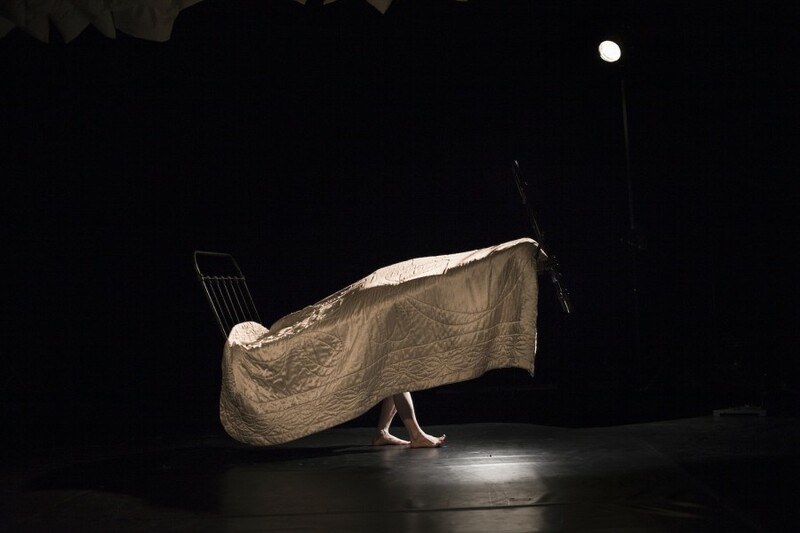 Physical theatre is mixed with live music, illusion, puppetry and the quirky manipulation of objects to create a unique and bizarre environment that is interspersed with moments of surreal humour. Claire Ruffin is the artistic director of L’Insomnante, with whom she has created a show of the same name and the sister project, Dormez-vous? In between sleepless nights she has worked with Groupe o, Mozkai Theatre in Grenoble, Teatr Box Office in Warsaw, Company Monsieur Madame in Toulouse and Company Lamereboitel in Marseille. 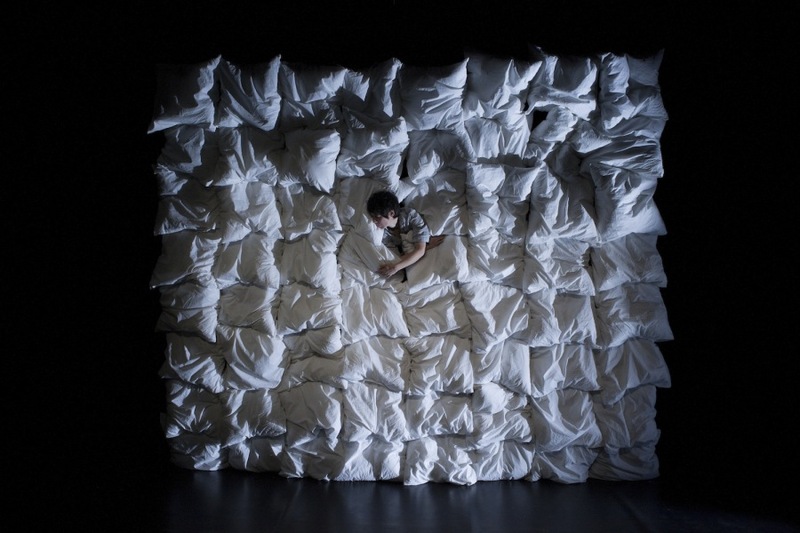 She tried to rid herself of her fear of sleeplessness by creating L’Insomnante.